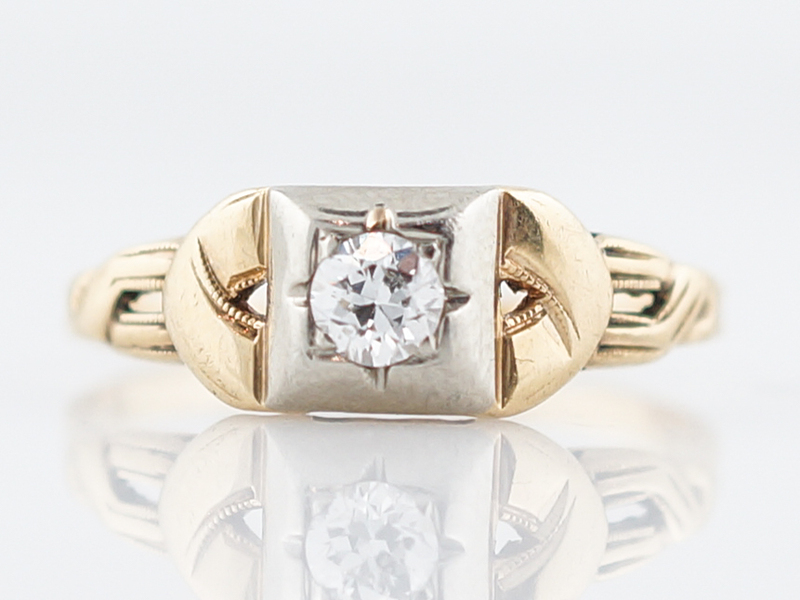 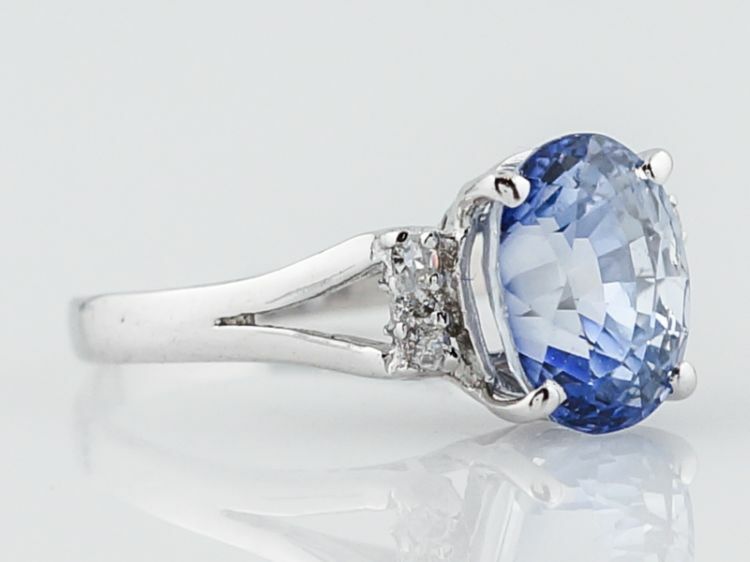 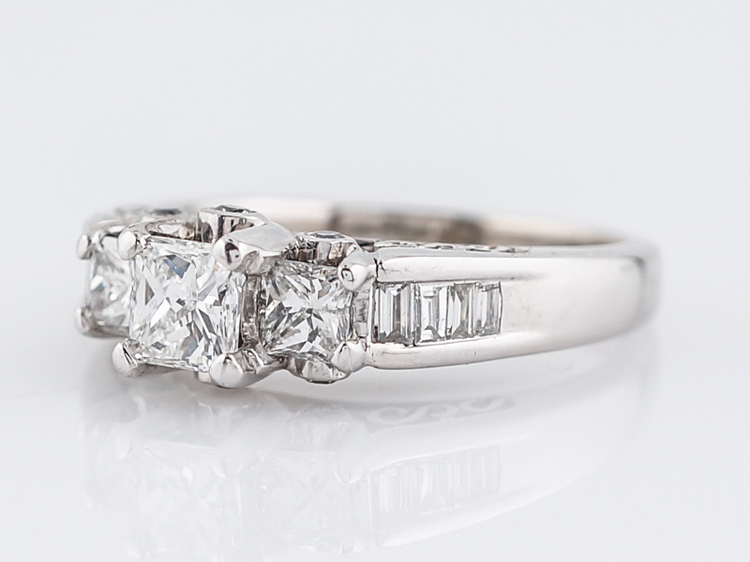 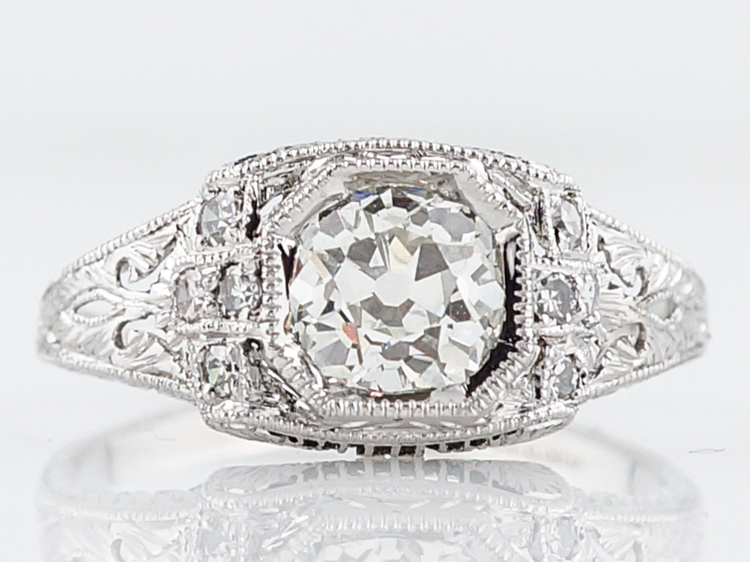 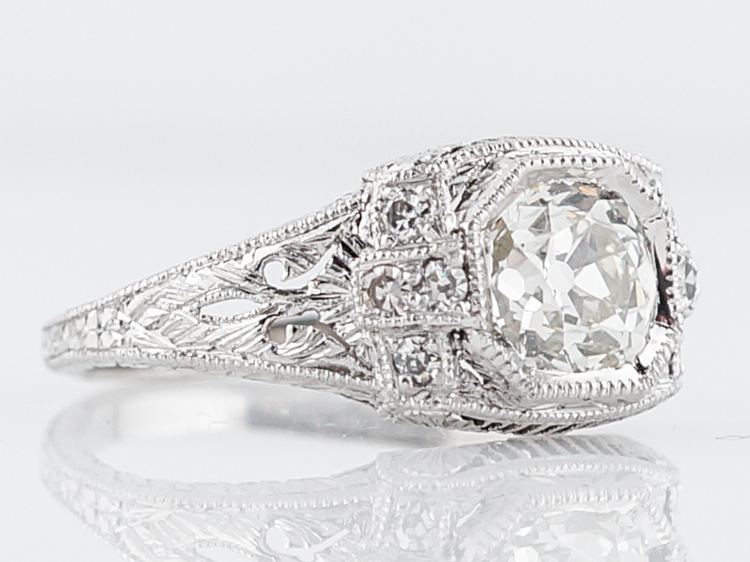 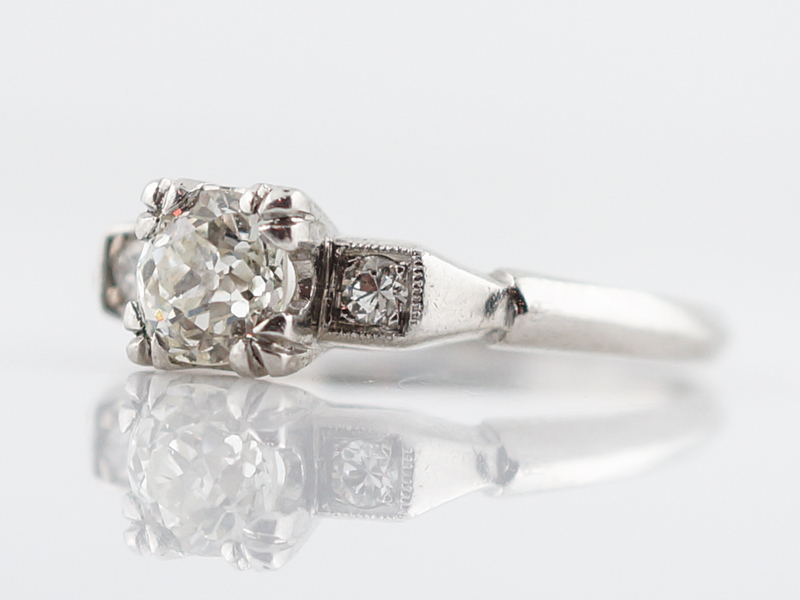 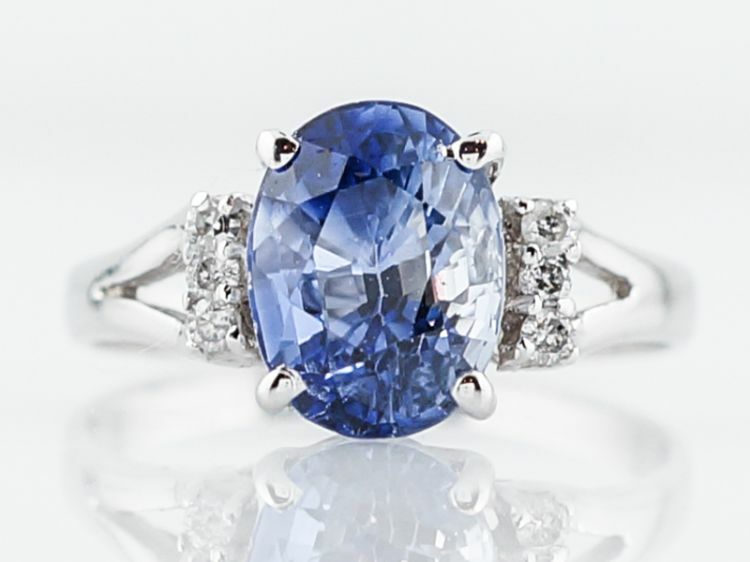 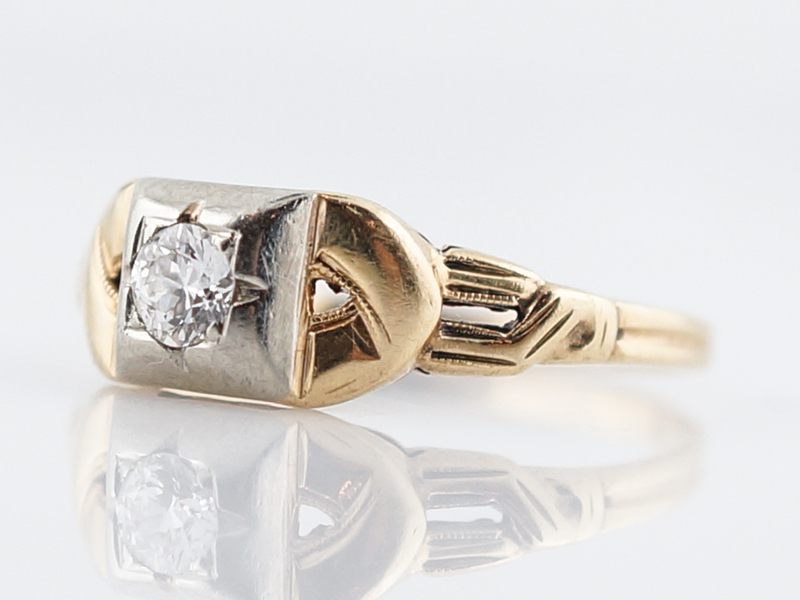 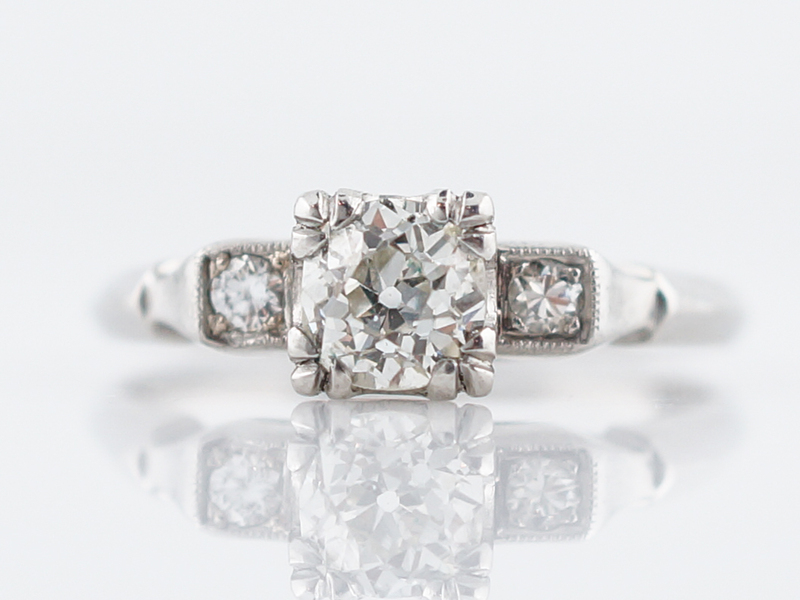 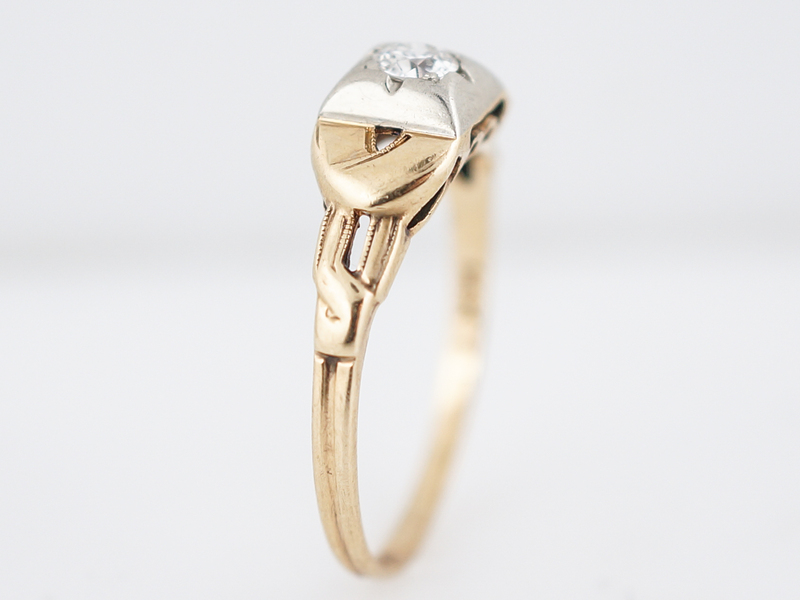 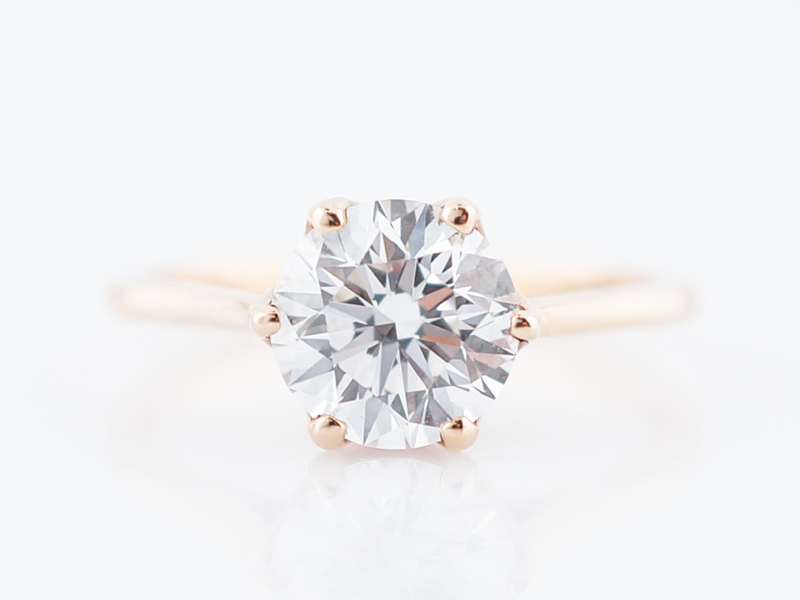 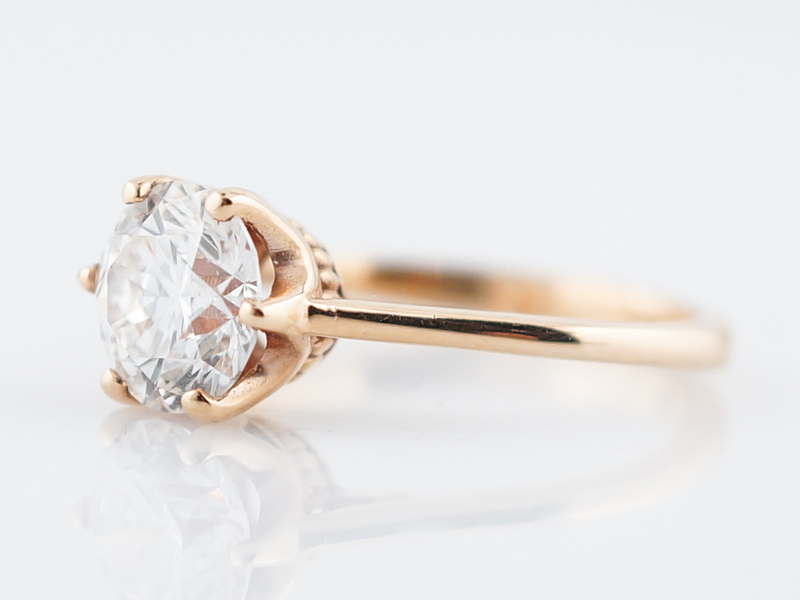 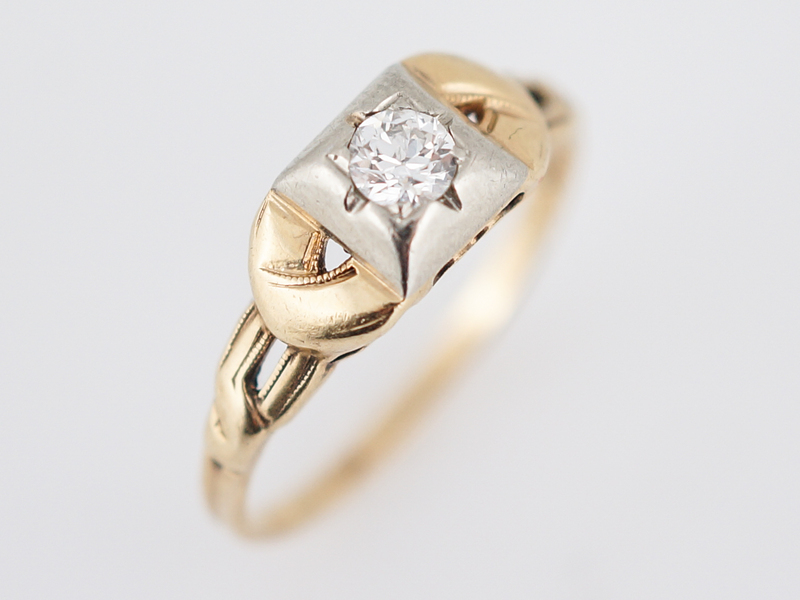 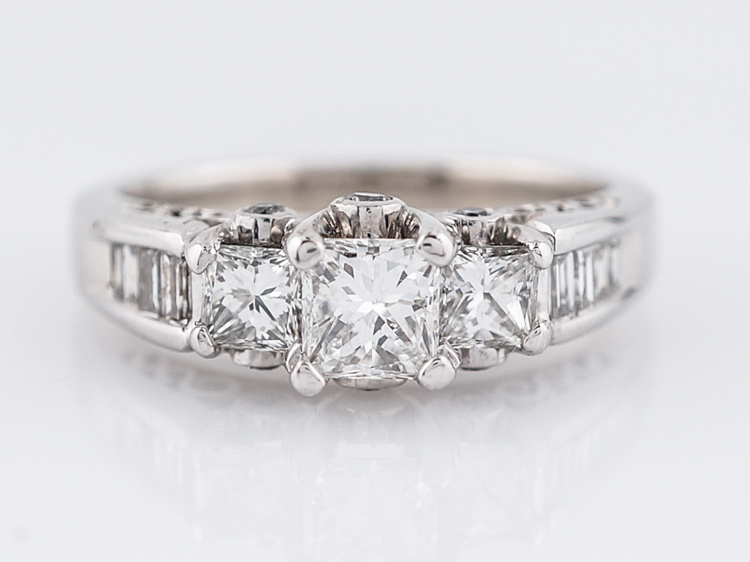 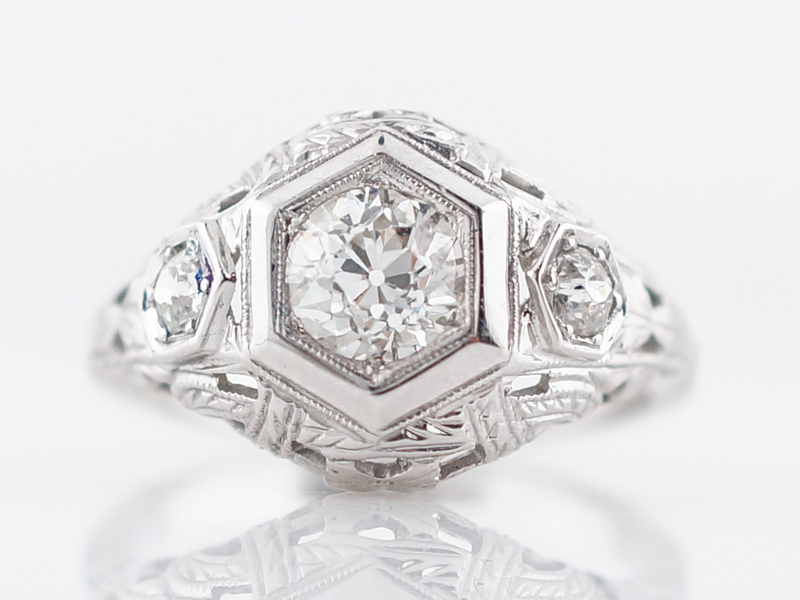 This original Art Deco diamond solitaire ring is a perfect two-tone solitaire. 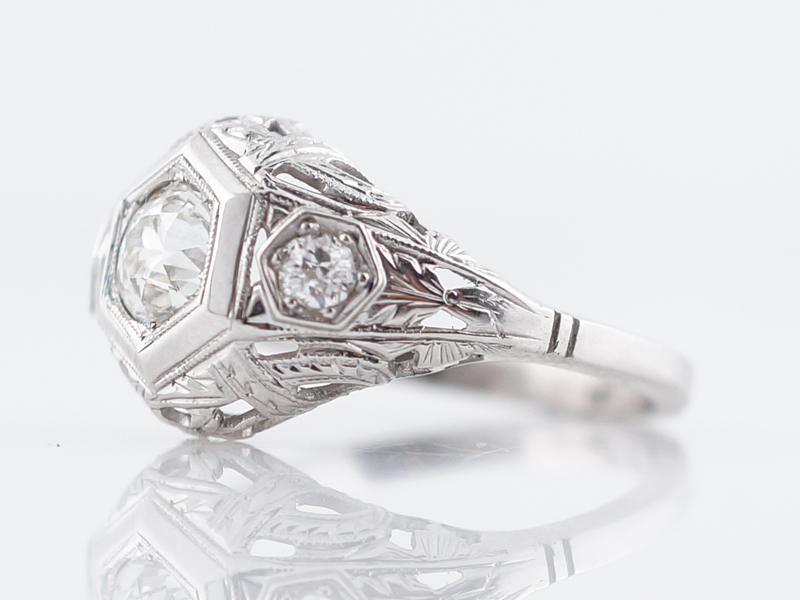 The center .18 carat diamond is bead set in a 14 karat white gold classic Deco geometric head. 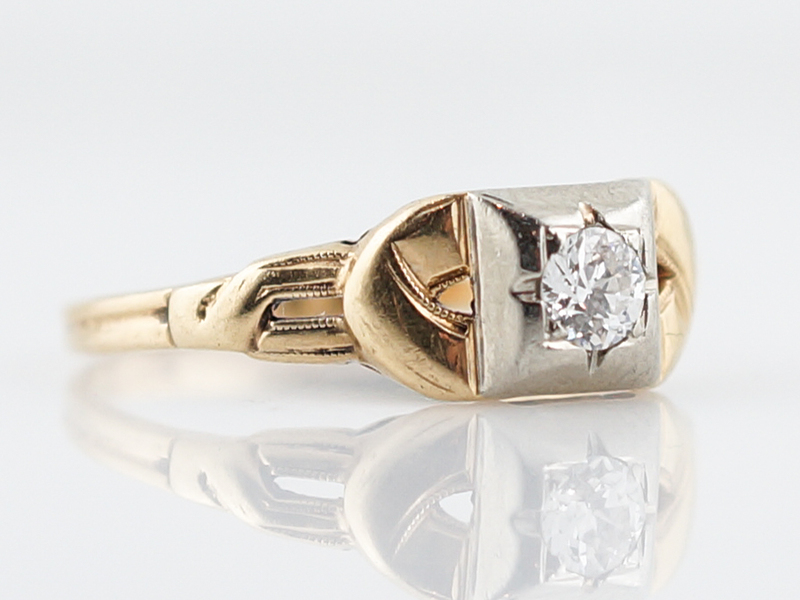 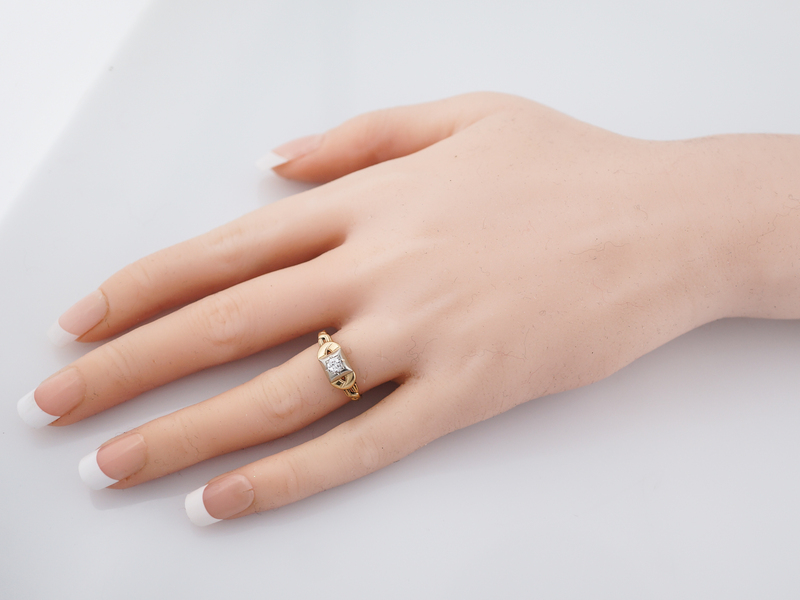 The shank of the ring is in finished 14 karat yellow gold and offers texture and form with a braided, yet simple design.